It took a few shots to get a decent close up of the bark and it is still not as easy to distinguish the pattern as seeing it in person. Darker threads don’t help either. The far right seems looser than the next few & then the pattern changes for half the trunk but then end up more like the right side. Back to Susan Hoekstra’s piece which is from a small pilot class our chapter did for her 2014 Seminar class. It is working up nicely. 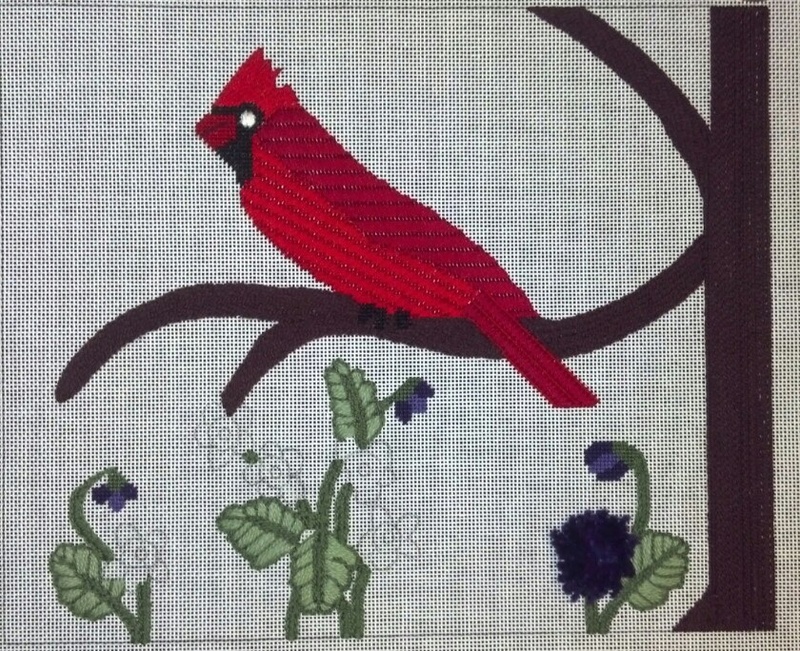 I am getting practice laying threads with the cardinal. 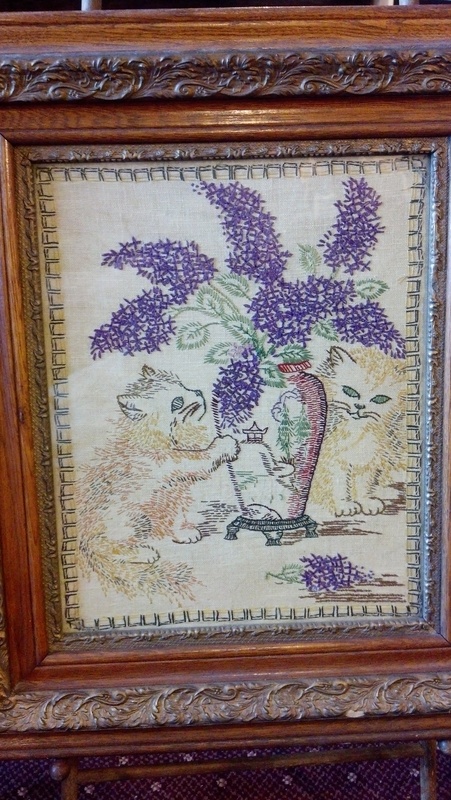 Once I really looked at what I had stitched in class, I saw I had deviated slightly from the pattern. So, I had to rip out and restart his stomach. It was great advice to compensate after doing the main area. 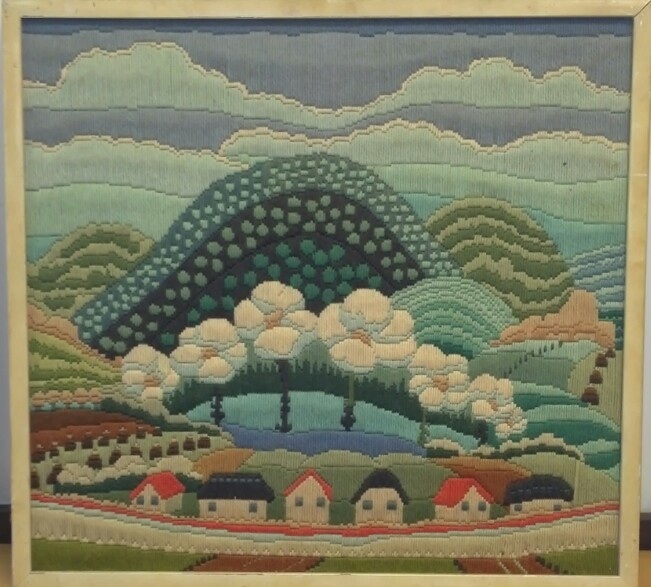 It amazes me but I find stitching in a class environment nearly always produces rework. Apparently, there are too many distractions for me to focus. Do you find this happens? 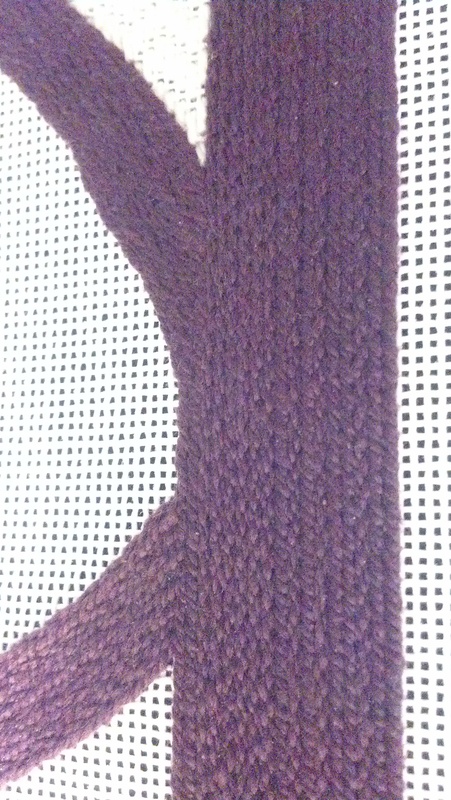 The tree trunk pattern turned out differently depending on how I stitched it. I doubt I’ll ever know why the differs occurred. The far right seems looser than the next few & then the pattern changes for half the trunk but then end up more like the right side. Odd! But, I like it – it is uniquely mine. 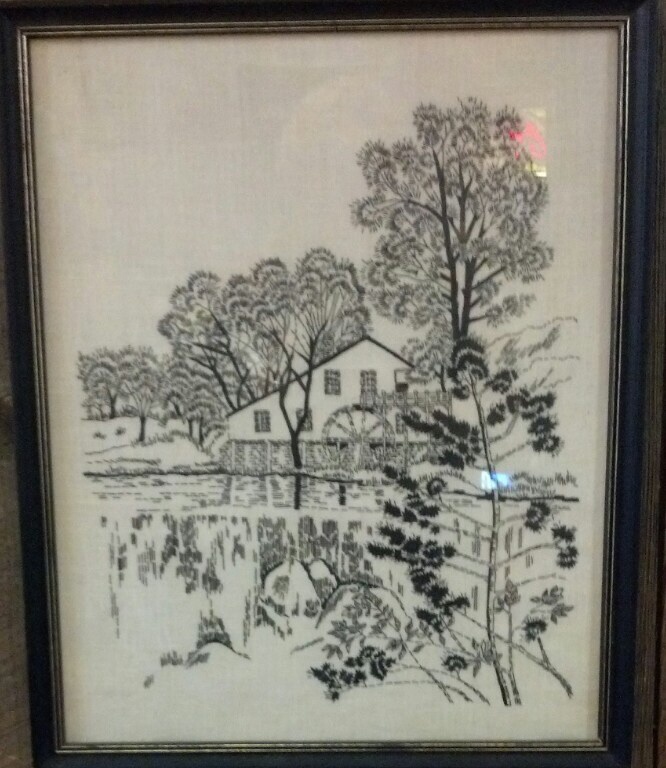 I may not have found any needlepoint stores in Vermont but I am finding interesting needlepoint pieces in antique stores (first 3 I have no further info on them) and a sampler (a common pattern from Springfield, VT area for a family record sampler done by a 13-year-old, Martha Harkins) and a quilt at the Bennington Museum. 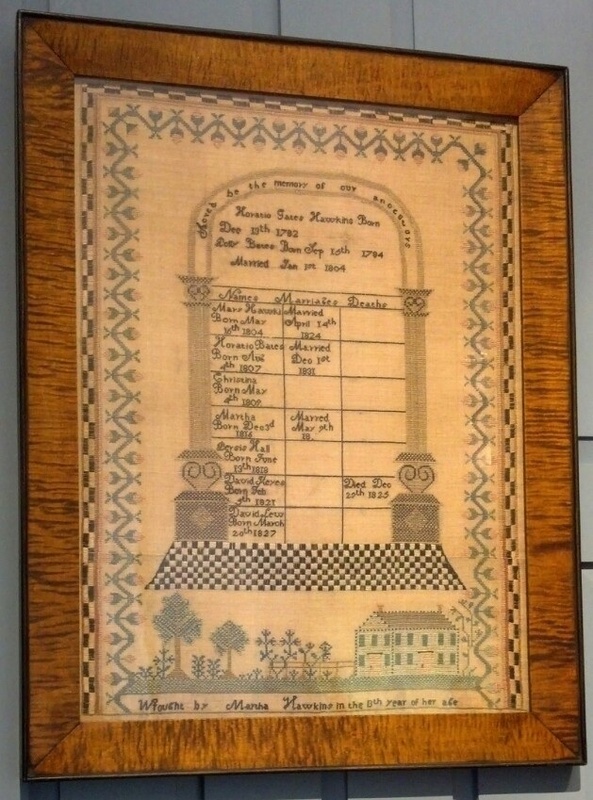 It is a 150 year old quilt done by Jane Stickle with 169 five-inch blocks, each in a different pattern, containing a remarkable total of 5,602 pieces, all surrounded by a unique scalloped border. 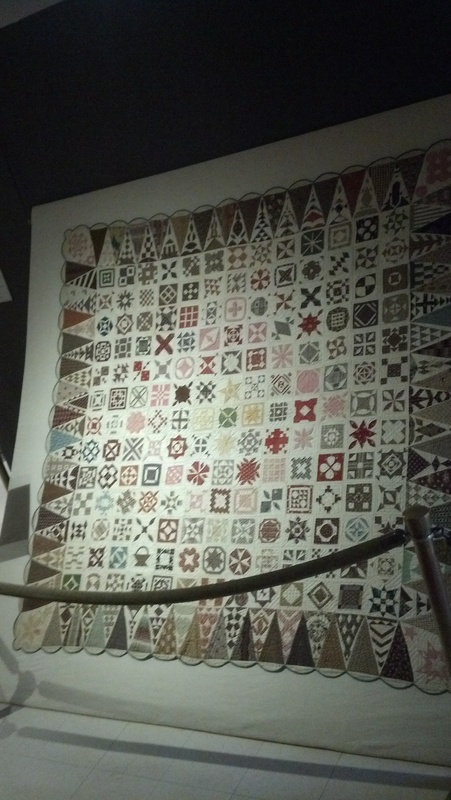 The quilt is in perfect condition & only on display for a limited time each year. This trip saved me money & from having more unfinished projects! 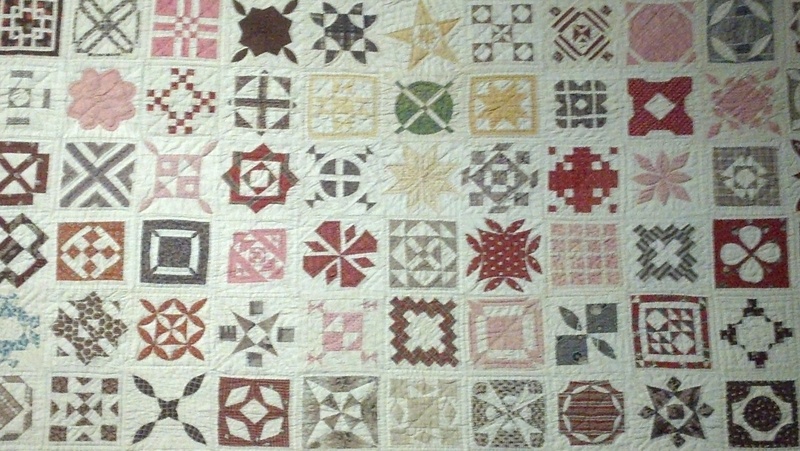 But, I was very fortunate to see such nice work, especially the quilt.